“The Coalition Avenir Québec (CAQ) is imposing a belief on me,” said Ikram El Mashoubi, a third-year education student at Concordia who wears a headscarf. 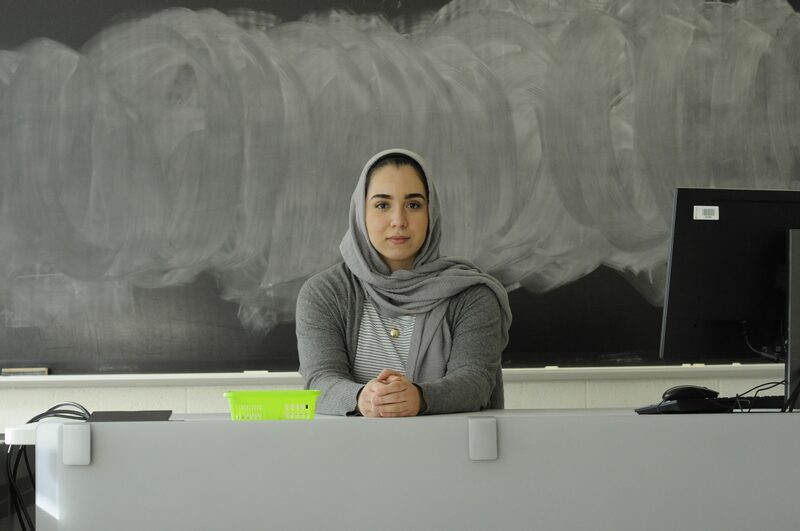 If Bill 21 passes, El Mashoubi would have to give up her scarf to pursue a teaching career in public schools. “We will become second-class citizens just because we choose to practice our religion freely, which I have the right to do,” she said. The CAQ tabled their secularism bill on March 27. The bill is an attempt to achieve religious neutrality in the province by banning religious symbols worn by public workers. This includes teachers, police officers and governmental lawyers. While the government claims the bill balances community and individual rights, much opposition arose claiming the proposed bill violates rights outlined in the Canadian Charter of Rights and Freedoms. “It is a violation of freedom of religion and a violation of the right against discrimination,” said Azim Hussain, a lawyer specialized in constitutional law. Premier François Legault said individuals who refuse to abide by the proposed bill can simply change jobs. “Legault can’t possibly ask me to just look for another job,” El Mashoubi said. Hussain said the bill lacks legality since the CAQ initially misused the notwithstanding clause, which could be detrimental to the legislation. The notwithstanding clause in theCanadian Constitution is used by both provincial and federal governments to override sections of the charter that they do not agree with for a five-year period. “There should first be a court process that determines whether the law is constitutional and then the government should decide whether it would invoke the notwithstanding clause,” said Hussain. Instead, the government invoked this clause prior to tabling it. Concordia political science Professor, James Kelly, whose field of study is the Canadian constitution, said courts have already ruled that the clause can be used in a pre-emptive way. “[The CAQ is] not acknowledging that it violates rights explicitly, but they are implicitly saying that by invoking the notwithstanding clause,” said Kelly. Once the clause is used, there cannot be constitutional challenges to the bill, but other challenges can be made, such as administrative ones. The lack of definition regarding religious symbols could be the target of administrative challenges. Minister of Immigration, Diversity and Inclusiveness, Simon Jolin-Barrette, told CTV Montreal that “everyone in Quebec knows what a religious symbol is.” However, Kelly said an administrative challenge would only delay the legislative process. According to Magida Chatila, a social worker in a Notre-Dame-de-Grâce elementary school, Bill 21 will have many other consequences outside the classroom. Some of these students have an academic delay of two years. Other students do not even have a permanent teacher. “Students have been taught by many substitute teachers before someone accepted to take a job,” said Chatila. As a response to the lack of teachers, some schools have hired personnel without the proper certification to teach. “At the school where I am currently working, around 10 teachers out of the 30 do not have the proper requirements to teach,” said Chatila. By preventing new teachers like El Mashoubi to work in public schools, Chatila fears that the lack of workforce will only grow. This would be detrimental to students from public schools, she said. While the CAQ holds a majority of seats in the national assembly, many think there are ways to legally oppose the bill before it passes. Kelly predicts that once all the testimonies pass through Assembly, the bill’s flaws will arise. This is what caused the previous secularism attempts to fail in the past two decades, according to Kelly.